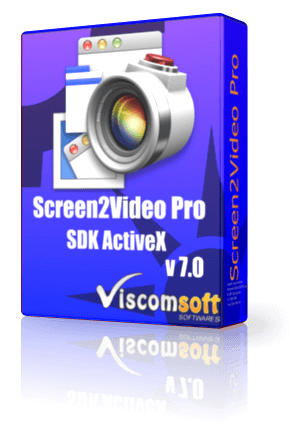 For Windows Developers who need to Screen recording to H26 MP4, AVI, WMV,SWF, FLV and Record any monitor screen from a multi-monitor system with c++, c#, vb.net , vb, delphi, vfp, access. Record screen activity, mouse movement to H264 MP4, SWF, FLV, AVI ( compressed or uncompressed), or WMV files. fixed output mp4 file, the ‘Date” is changed to 6/6/1905 on windows 10.
added MP4AspectRatio property that support enable or disable aspect ratio for MP4 file. added MP4Album ,MP4Author MP4Comment ,MP4Copyright, MP4Title properties that support set the title, author, album, comment, copyright meta data when save to mp4 file. updated vb6, c# 2010, c# 2015, vb.net 2010, vb.net 2015 samples. added DeviceChange event, this event will fired when insert USB audio device or remove USB audio device. added RefreshAudioDevice method, it will refresh the audio device when added or removed the audio device. updated VB6, VB.NET 2010 samples. fixed cannot capture correct resolution with high DPI. fixed mouse pointer position issue with high DPI. added support output H264 MP4 it support custom define MP4 resolution, Video/Audio Bitrate, Audio Sample rate, Audio Channels. fixed memory issue when capturing for a long time. added MP4AudioBitrate, MP4AudioChannels, MP4AudioSampleRate, MP4Framerate, MP4Width, MP4Height, MP4VideoBitrate properties. updated VB6, Delphi, VFP, VC , VB.NET 2010, C# 2010 samples. support on Windows 8 or above. fixed vb.net 2010 samples cannot run on 64 bit OS issue. added record any monitor screen from a multi-monitor system. 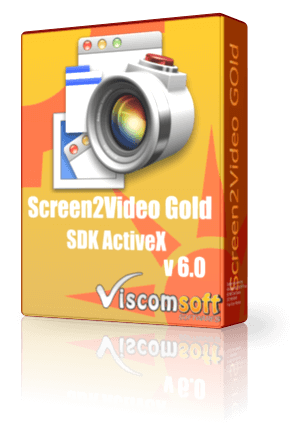 improved screen recording performance, fixed mouse pointer flickering and fast screen recording on window 7.
added allow add overlay text, image, date time on video when screen recording. added DateSetColor, DateSetFontName, DateSetFontStyle, DrawDateTime, DrawImage, DrawText,ShowDateTime, ShowImage, ShowText, TextSetColor, TextSetFontName, TextSetFontSize, TextSetFontStyle, TextSetHashBrushValue, TextSetOutlineBackColor, TextSetOutlineBorderColor, TextSetStyle, TextSetTextureImage methods. fixed pause and resume issue. added allow use the activex without the form. redesigned the screen capture engine, now it will not have mouse pointer flicker when capturing. added zoom in and zoom out feature when screen capturing. added allow adjust the CaptureWidth and CaptureHeight properties to resize the output resolution. changed capture the area by percentage. It can easy to control the capture area. allow use mp3 codec and adjust the bitrate, sample rate, channels when save to avi file. when have not set AudioInputPinVolume property, it will use system default volume value. added AVIMP3Bitrate, AVIMP3Channels, AVIMP3SampleRate properties. fixed temp file have not clear issue when output FLV file. allow adjust the volume of selected audio input pin. added reset the default volume of audio input pin after end of recording. improved crash issue if the window have not installed sound card. improved flv meta data issue. FLV, SWF file can record to video without audio. fixed memory leak and improved the performance. fixed capture area mouse pointer issue.